We/Vietnam World Travel Co. Ltd. – International Would like to convey to you the best greetings from Vietnam. We already have the skill staffs , well trained, long term experienced and professional tour guides , speaking perfectly French , English, German, Spanish ,chinese ,Japanese …..
Our company policy is to improve the quality of services and provide the best care for our clients during their stay in Vietnam with our purpose to leave all the clients the great and beautiful impression after their trip to Vietnam. Vietnam World Travel offers excellent services to ensure your safety and comfortable trip in Vietnam and abroad..
Tel: (024) 38621839, 36366059, 36366832 - Fax: 0084 24 36360887. Melburne Australia office: 299 Smith street Fitzroy VIctoia 3065 , Australia. Tel: (03 ) 94198152 , 94190883. - Fax: (03 ) 94198356. 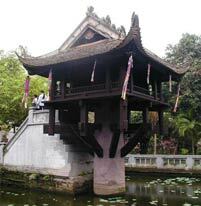 We will be happy to warmly welcome all our valued clients to visit the beautiful tourist spots in Vietnam.